Featuring 4-link suspension for multi-angle articulation, all mounted to a TVP twin vertical plate chassis, the Ibex is as flexible as they come. 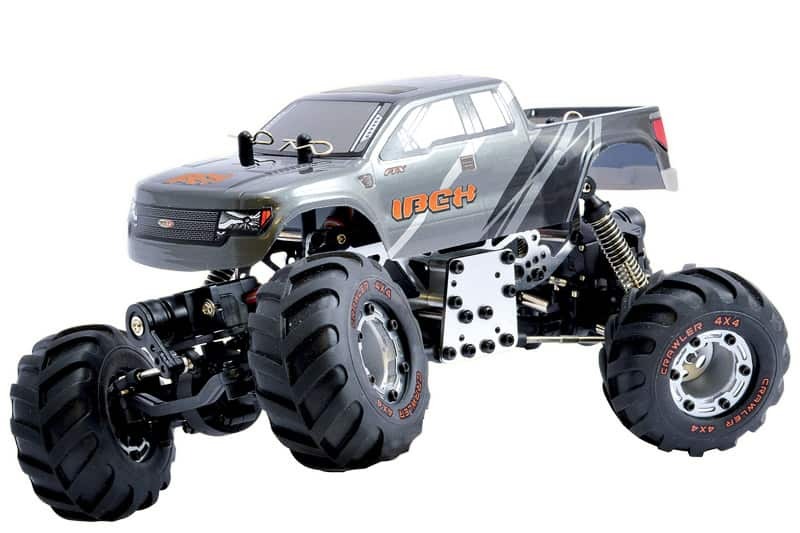 Telescopic sliding driveshafts ensure drive is maintained whatever the terrain, while the specially geared motor has the torque to drive the Ibex up ramps and gradients (of course within scale size, remember we are still talking about a 1/24th model. If tackling the rough stuff was not enough, then the Ibex has a trick up its sleeve. Four wheel steering is available at the touch of a button via the transmitter, providing the Ibex with even more ways to overcome your terrain. 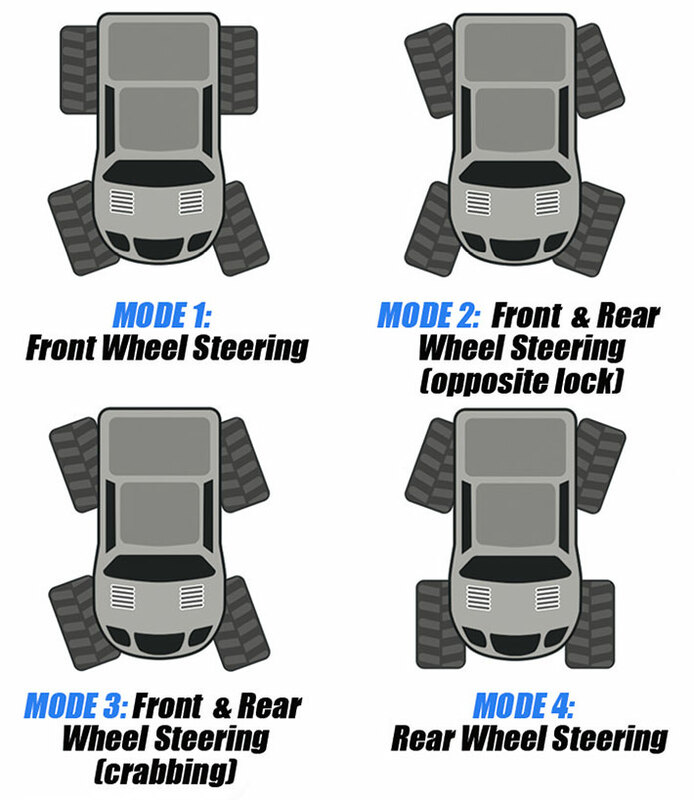 Choose from four wheel steering, rear wheel steering only, crab steer left and right, and front wheel steering. If one of these options can't get you out of a fix then nothing will. Please Note: This model requires 3 x AA batteries for completion.